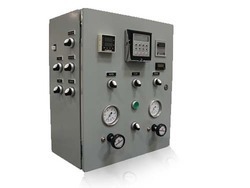 We are a leading Manufacturer of instrumentation control panel from Vadodara, India. Our association is included in assembling a restrictive scope of Instrumentation Control Panel. These boards are manufactured utilizing quality crude material and different segments. This reach is accessible in fluctuated particulars to serve differing mechanical applications. Our reach is stacked with complete wiring & testing office and information securing framework. These boards are profoundly equipped for measuring regular gas stream vitality administration frameworks.